Lang M18 O2 Sensors service all major vehicle platforms using 10mm oxygen sensor. Lang rethreaders restore and clean threads of dirt, carbon build up, and metal particles. Lang O2 thread restorer comes with a rubber o-ring to firmly hold it into the socket. 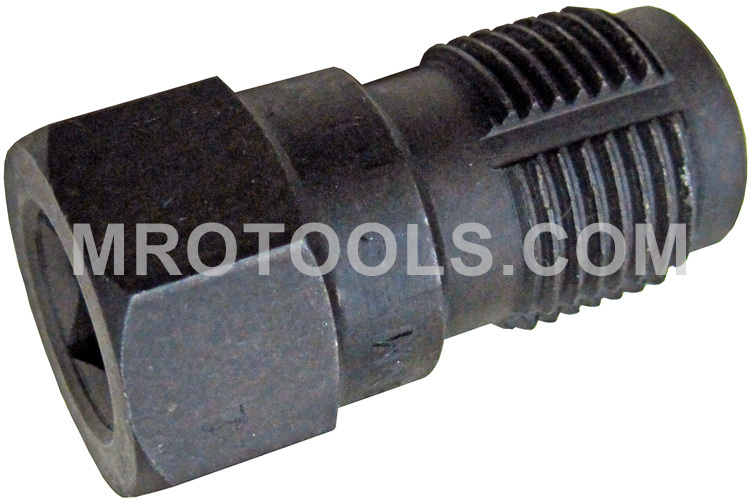 The 1016A Lang M18 O2 Sensor Thread Restorer is one of thousands of quality tooling products available from MRO Tools. Please browse Lang Thread Restorers for tools similar to the 1016A Lang M18 O2 Sensor Thread Restorer. 1016A Lang M18 O2 Sensor Thread Restorer description summary: Lang M18 O2 Sensor Thread Restorer. Services all major vehicle platforms using 10mm oxygen sensor. Quantity discounts may be available for the 1016A Lang M18 O2 Sensor Thread Restorer. Please contact MRO Tools for details.